Buying a motorhome is like buying a house or apartment, we usually spend a lot of money and we want to enjoy it for many years. It isn’t easy to find a vehicle that will satisfy us without wasting our money on expensive reparation. We provide you with some information that are useful when you think of buying a second hand motorhome. Check if there is some car service in the area and make an appointment in order to do a general review, just as with any other motor vehicle. You should go to the place where you can weigh your car without any cargo, than you will know how much reserve is left for passengers and baggage. 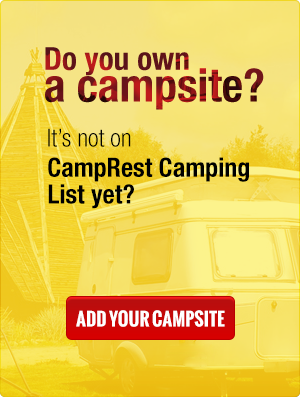 If the Curb Weight in the registration card is much different from the real weight, you might reconsider buying this camper, because it can cause problems connected with registration, technical review or weight control during driving. If the engine is warm after your arrival it may mean that the seller is trying to hide some defects. After filling all tanks with water you should check if there are no leaks and if all the equipment ( water pump, taps, showers, drains and drain system) work properly. Check if the data in your documents are the same as data mounted on the vehicle ( model, body chassis, year, etc). Lack of any documented service history should increase your vigilance. Check if the tire tread rubs evenly, if it’s not, it indicates vehicle’s bad geometry which strongly affects driving. Check the chassis if it doesn’t rust and if there’s no leakage from the steering system or engine. Check if there aren’t any signs of damage or repairs, bad repairs can have fatal consequences. Check if there’s no rust - you can never be certain if the whole plating is made of aluminum. You should also check under the vehicle. You should also check the roof. If it’s very dirty it can be a sign of a bad preservation during winter, which may cause leak-tightness damage. If the interior smells stale you can almost be sure that something is leaking or the owner didn’t care about the vehicle. You should check every nook and cranny, if there’s no mould, especially on the floor. Check if there’s no leakage on the walls, especially in the lower parts. It’s good to check the camper after heavy rain – it’s the best opportunity to see if everything’s OK and if there’s no leakage. You should check the area around windows, vents, skylights and antenna output – if there is no leakage or if the plywood or laminate wasn’t replaced. Touch the walls around it, it’s construction should be stiff. Check the quality of sealing on the walls joints, walls and shower joints, and on the walls and washbasin joints. Check the floor condition, if it isn’t puffed because of the leakage. The replacement of the bathroom floor is very expensive and time consuming. Everything has to be be dismantled, sealed and rebuilt. Check the leak-tightness of the water pipes and look thoroughly if the place where drain pipe is going through the floor is properly sealed. Check the floor condition, if it isn’t puffed because of the leakage. The replacement of the kitchen floor is very expensive and time consuming. Everything must be dismantled, sealed and rebuilt. Check if the air-conditioner works both when driving and when the vehicle is parked. Before you buy a vehicle, it’s worth to go for a 2 hours test drive with full load. It’s recommended to take the maximum number of people we plan to travel with. If the motorhome is adapted for motorcycle transportation, ask the seller if you can load it, also it’s worth to fill the water tanks full. The only way to check the exact driveability is to load the whole camper because that’s the exact weight we will go on a trip with. Ask the passengers if they hear some disturbing sounds. If you still cannot decide which vehicle you should buy, below we provided a set of questions which may help you to choose the best one. How many people will use beds and how many will use seats. Fixed beads are the most comfortable and functional. Check if changing the seats to beds won’t be too time consuming, in the newer motorhomes it should be easy, while in older models - a little bit complicated. If it comes to beds in the alcova or bunk beds you should know that they have limited space and require a little exercise. Check if there’s enough compartments for dishes and food. Will you need the oven? In case you will often have a power supply of 230V a microwave should be more practical. Is the capacity of fridge and freezer appropriate? Check if the ventilation is sufficient. Kitchen arrangement – is there an easy access to the important places while cooking? Dark color scheme will make a room seem smaller , on the other hand the room will seem warmer during winter. What kind of color scheme will be easier to keep clean. Check if there’s enough space to stand without tiring leaning. Is there enough place for all passengers to sit down together at the table. Is there enough space to freely use the washbasin, shower or toilet? When it comes to the load capacity you shouldn’t rely only on the registration card, often it’s a Permissible Gross Weight minus Curb Weight of the vehicle (empty water tanks, fuel tanks and no passengers). When you fill all containers and pack up your luggage you can exceed the GVW, which is associated with unpleasant consequences when the road control happens – so before buying it’s worth to check the weight of the vehicle itself, but with all tanks filled, and if we add the approximate weight of all passengers, we will have the exact weight that can be loaded to the vehicle. Will it be convenient to manoeuvre and travel in a camper of such size? Are you planning to enlarge your family in the nearest future? If so, the motorhome can be too small. If your kids are bigger, and plan individual trips, then a motorhome may turn out a little too big. If you plan to stay outside the camping it’s worth to think about the equipment more adapted for independent travels (like solar panels, generator). Engine power – it depends on what kind of driving you prefer, but you should be aware that the the vehicle will weight around of 3,5 tons with equipment, luggage and passengers, and 90 km/h won’t be enough. Solar panels and a generator are very useful inventions when you plan frequent visits far from the civilization. Awning is very useful for any trip, you can sit safely in the open air even if it rains, it also significantly increases the usable space.